Important: This article is applicable to customers located in the United States who purchased the 23andMe Ancestry Service. 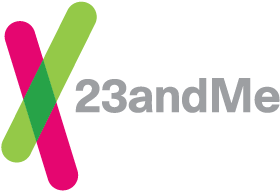 The 23andMe Ancestry Service was introduced on September 21, 2016. If you purchased the 23andMe® Ancestry Service, you have the ability to add reports on traits, wellness, health predisposition* and carrier status* from within your 23andMe account. After your ancestry data is ready to view, an Upgrade button will be displayed on the Carrier Status, Health Predisposition, Traits, and Wellness pages accessible through your list of reports. The new reports will be accessible in your account immediately upon purchasing an upgrade. The $125 upgrade fee is non-refundable and we are unable to revoke access to these reports once purchased. When upgrading from the 23andMe Ancestry Service to the 23andMe Health + Ancestry Service, sales tax is charged if the billing address is in Hawaii, West Virginia, or South Dakota. You can view a full list of reports here.